Lava Mobile has launched XOLO A1000, a 5 inch smartphone that has all-around good specifications and pleasing looks.The XOLO A1000 has a 5.0-inch, 1280 x 720 resolution IPS display. This phone is incorporated with the One Glass Solution (OGS) that includes the display, the touch sensor and the glass in one layer, making the phone thinner by reducing the air gap between all the three and improving the image quality. The A1000 runs on a MediaTek MT6577 chipset with a dual-core 1GHz CPU and PowerVR SGX531 GPU. The basic dimensions of this phone is just 70.8mm wide and 8.8mm thick, making it easier for single handed operation. The other features that it packs is 1GB of RAM, 4GB internal memory and the memory can be expanded upto 32 GB via a microSD card. It has a 8 megapixel camera with BSI sensor and a 1.2 megapixel front camera with BSI sensor and a LED flash, which caters 720p video recording. Connectivity options are rounded off by the presence 3G, Wi-Fi, Bluetooth 4.0, GPS and USB. It runs on the latest Android 4.1 Jelly Bean OS platform and a 2,100mAh battery. About which company claims that this phone will have talktime of around 14 hours on the 2G network with the phone having a talk time ability of around 10 hours on 3G network. 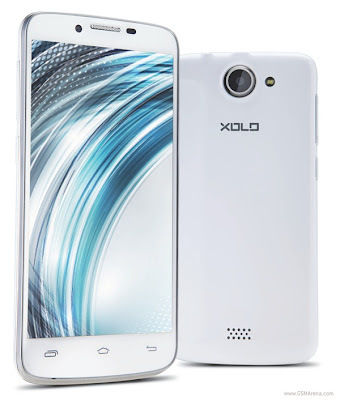 The Lava XOLO A1000 is priced at ₹13,999 in India. To sum it up this phone is a great device to be owned at such a low cost, but the only demerits lies that this company is not well established in the smartphones market. But it can also be in seen in a way of boosting its image in this market amongst the newly emerging phones companies like Micromax.